Bob was a bridge builder, a volunteer, a good and faithful servant of his Lord Jesus Christ. Chuck and I met Bob and Marie Southard in 1973. 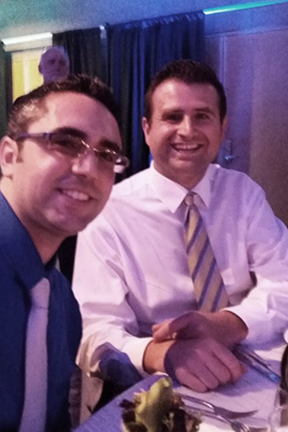 Pastor Gordon Shira introduced us and we became the best of friends. Bob organized the first work groups from Willow Creek Church in South Barrington, Illinois. He arranged speaking engagements throughout Illinois and then chauffeured me from church to church. Bob was a salesman for Allis Chalmers, a manufacturer of pumps. He arrived at the Mission and found the pump in our well broken. He prayed and somehow managed to repair it. as ghosts when they reached the Baja Mission. You too can be a bridge builder, a volunteer for Jesus, tried and true. To a chasm, vast and deep and wide, Through which was flowing a sullen tide. The old man crossed in the twilight dim; The sullen stream held no fears for him; But he turned when safe on the other side And built a bridge to span the tide. "You are wasting your strength with building here; Your journey will end with the ending day; You never again will pass this way; You've crossed the chasm, deep and wide, Why build you the bridge at the even tide?" The builder lifted his old gray head:"Good friend, in the path I have come," he said, "There follows after me today A youth whose feet must pass this way. This chasm that has been naught to me, To that fair-haired youth may a pitfall be. He, too, must cross in the twilight dim; Good friend, I am building this bridge for him! beloved wife of Sam, has passed away. Please pray for strength for Sam and family. What do these two have in common? They both have Hepatitis C.
and your prayers will make the difference in a full recovery. Hopefully Glenn will be scheduled soon. Little baby Riker, Dana pereau's grandson, was hospitalized this week at Children's Hospital Los Angeles. He requires multiple surgeries on his eyes and face. Please pray for this precious little one. Amelia, Dana’s granddaughter, has completed her cancer treatment from Seattle Children’s Hospital. Everett Wilson is now going through volumes of history related to the sequel to Charla’s Children. Please keep him in your prayers. 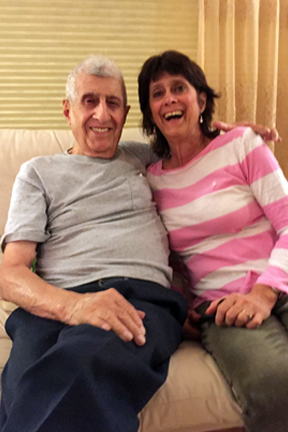 Everett now has a full time caregiver for his beloved wife Lois, and can devote his full attention to the book. Pray that prison doors will be open as our precious minister of the Gospel will be going Saturday morning, May 19th, to the Riverbend Maximum Security Prison in Nashville, TN. 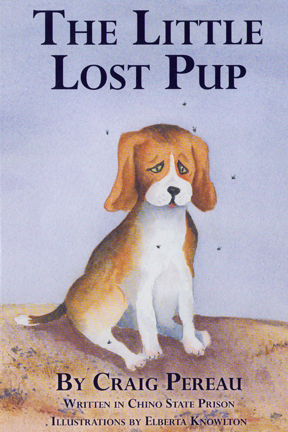 He will distribute copies of the Little Lost Pup in that institution. and they will be receptive to the Gospel. Mark is a new man in Christ and will be released from Corcoran State Prison in California to Teen Challenge in Orange County on Thursday, May 17th. He has been incarcerated for eight years. Carolyn Libby and Charla will take him from the prison to Teen Challenge. Teresa has an embroidery workshop in a prison at Rio de Hielo, Oaxaca. Sam Parsons ministers to nursing homes in South Orange County. He is a beloved friend and frequently ministers at our Friday night monthly prayer group dinner. Last week, he and his wife, Colleen, went on vacation to see family in Texas. Colleen became critically ill and was hospitalized in grave condition. She needs a miracle. An update from her CaringBridge page: All her numbers are slowly moving in the right direction. The antibiotics are bringing her infection numbers down and her oxygen levels are good enough that they are beginning to back off her ventilator - hoping they can remove it in the next few days. Please pray for increased circulation to her legs as they have beenseverely affected. Please pray for strength for Sam. He is too tired to sleep. Please pray for Stephen Ashby, our beloved friend, who is studying for the Lutheran Ministry. He is facing finals, like many other students this season. Chuck and I met Stephen a few years ago. To know him is to love him. He is very conscientious. His daily Homilies are on hold during this season. The sequel to Charla’s Children is in process! Please continue to pray that Everett Wilson and I will be able to transcribe the many stories or events that will be presented in the book. It is our hope that we will be able to go back to the many supernatural events throughout Chuck’s and my life. 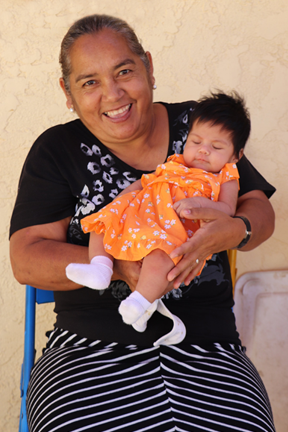 Eleanor Lugo served in our medical center for years and is married to a Bible Institute student. They are pastoring a local church in the Baja. Once again, we hosted 750 children in our church with festivities following. Mexico celebrates Children's Day on April 30th. Praise God, another opportunity to touch His little ones for Christ. We wish Hans and Nancy Benning a Happy 54th Wedding Anniversary. They celebrated on May 3rd. Volumes could be written about this couple who have literally poured out their lives for others, and have given sacrificially; 42 years of their married life to His Ministry! at a Baptist church in Artesia, CA. in the home in Baja in the 60s. We praise and thank God for his life. 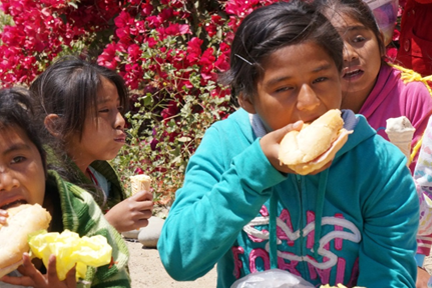 In both Baja and Oaxaca there are a set of women who are heroes to us all – the housemothers. They take abandoned and abused children with deep spiritual and emotional wounds and they love them as if they were their own children. These women create safe homes and create beautiful memories for their families. They pray with the children for their needs, cry with them over their pain, and rejoice with them in their victories. Please join us in celebrating and praying for these amazing women as we celebrate Mother’s Day this month. Over the next several months we want to share the stories with you of our graduating university students. 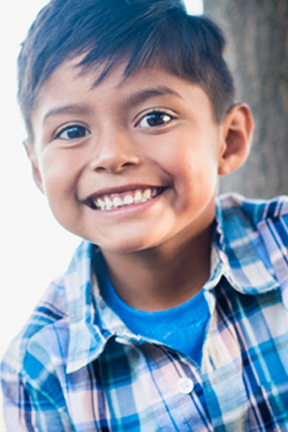 We are so proud of them and we want to share with you the amazing ways God is at work: I arrived at the children’s home in Baja when I was three years old. I grew and met incredible people: people full of love for their job and for Jesus. These people loved me and taught me my value, my gifts, my talents, and most of all, the love of God. Today, thanks to their time invested in me, I am who I am. I am also studying French and Mexican Sign Language. I hope to continue studying Sign Language and be an interpreter one day. and spend time as a family with. I’ll miss playing soccer and volleyball, going to the beach, and getting ice cream. But I also know that I am part of a family that loves me and accepts me just how I am. 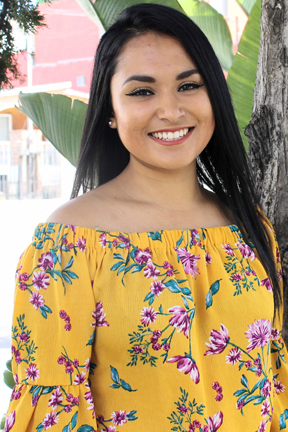 After I graduate this May I plan on staying in Tijuana and finding a job as a teacher while I also look for opportunities to use my sign language, continue going to church, and serving my community in any way I can. I am so thankful to Foundation for His Ministry and all the people who have helped to give me the incredible opportunities I have been blessed with. of the community who have begun congregating with us. in worship and adoration to our Lord. and the ways they see God moving. their own youth. God truly works in wonderful ways. One of our staff members often says, “We are not a children’s home. We are a family.” As with many families, life is not all sunshine and roses. and for the ways He is moving among us, even now.